Refrigeration compressor units mainly adopt Germany Bitzer Semi-hermetic compressor which are most widely used in the market. 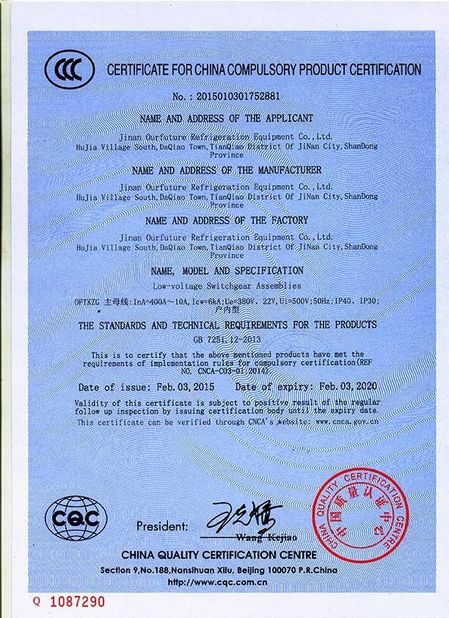 At present Bitzer is the largest independent manufacturer in refrigeration compressor field. Bitzer Semi-hermetic compressor shares 85% market in Europe, and accounts for 42% in the world market. All the electronic controllers and automatic control components are imported from famous brand abroad and full automatic control attainable. The unit is with complete self protection system for high pressure, low pressure, oil level, oil temperature, oil flow, against overloading, overheat etc. With PLC control cabinet and unit can perform automatically without watching or connected with remote monitor. 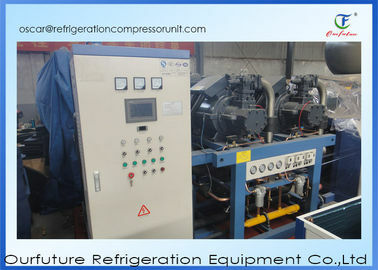 Capacity can be increased 35% and efficiency can be increased 20% than single compressor unit. 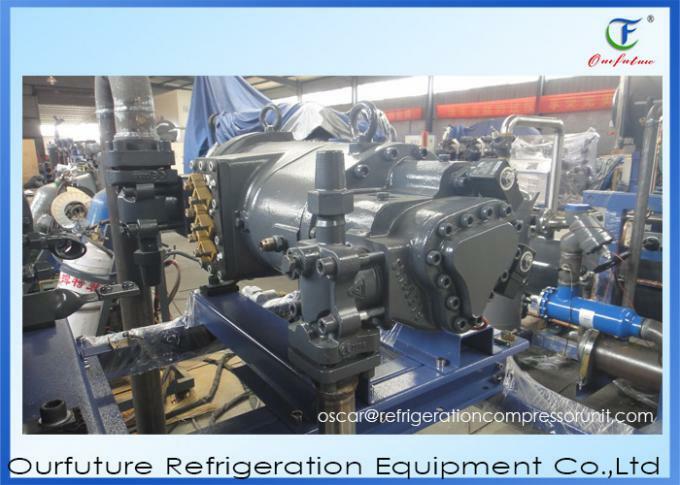 Multi-connected compressors save 20% to 50% electricity than single compressor unit. 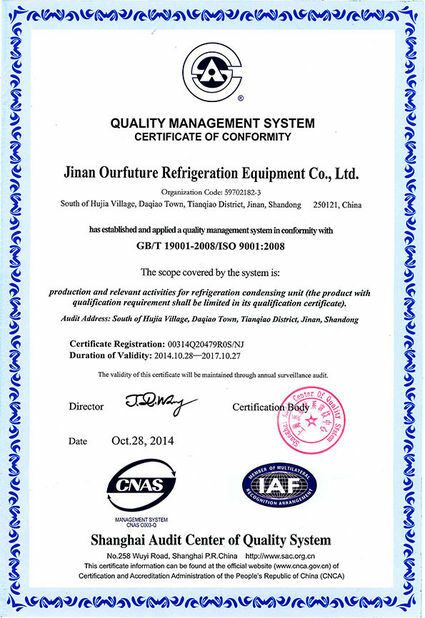 Most of refrigeration parts and electrical parts are factory-connected and only simple on-site installation is need. The unit occupies only 1/6 space of Ammonia unit. 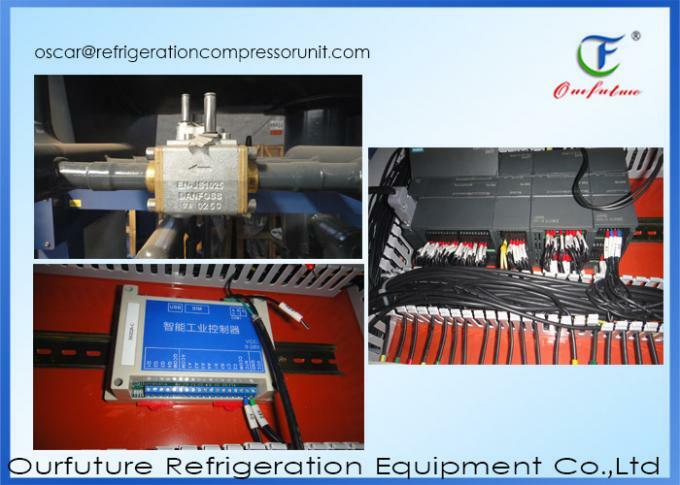 Include Fusheng compressor,oil seperator,oil filter,liquid receiver,PLC touch screen,high and low pressure pauge,dial,pressure controller,temperature controller,under frame,filter direr,suction valve,stop check valve,electric control box.